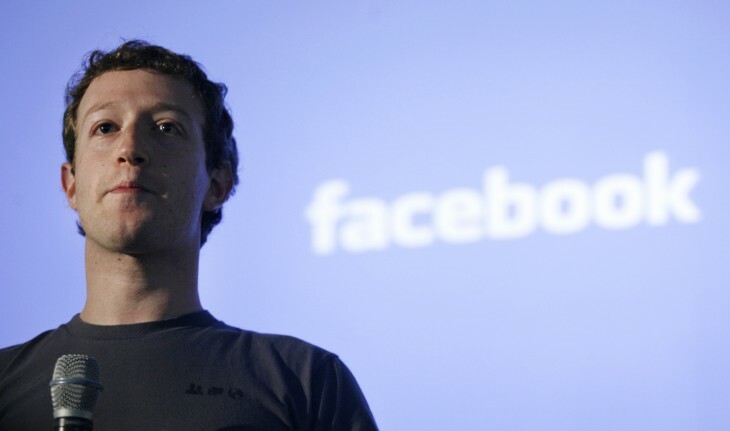 Facebook is rolling out a new feature today that will allow users to donate directly to nonprofits through its social network. Aptly timed for the holiday season, a “Donate” button will appear beside News Feed posts from 18 of the participating nonprofits as well as the top of their respective Pages. As you might expect, when you tap or click on the “Donate” button, you can specify the amount that you wish to donate, enter in your payment information, and submit. That’s it. 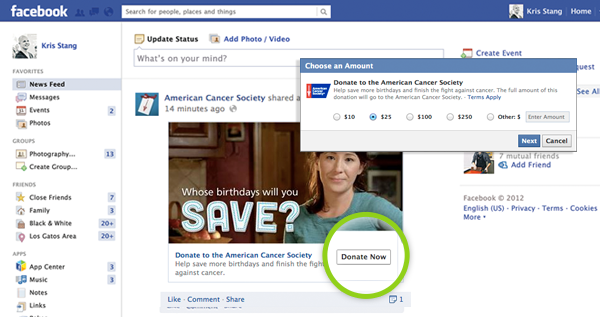 Some may wonder whether Facebook takes a percentage of each donation for commission. This is not the case: 100 percent of all donations made through Facebook will go to the designated charitable organization. Facebook has already implemented this Donate feature in the past — following Typhoon Haiyan, the social networking company teamed with the International Federation of Red Cross to allow its users to donate directly to relief efforts in the Philippines. From there, Facebook saw that people around the world wanted to continue to be generous and so it’s launching this feature out to more organizations. 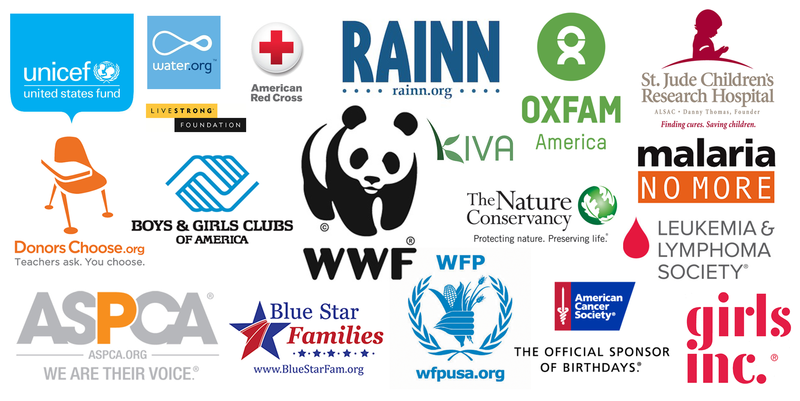 Nonprofits taking part include Donors Choose, the LIVESTRONG Foundation, Water.org, Malaria No More, World Wildlife Fund, Boys & Girls Clubs of America, St. Jude Children’s Research Hospital, Kiva, UNICEF, and the United Nations World Food Programme. More non-profits will be added in the future and Facebook says that any organization that wishes to participate can fill out its Donate interest form. The social network also has a Frequently Asked Question section set up to answer any questions you may have.